On my Second Blog Birthday I decided to think about the phrase ‘You’re such a purist!’. 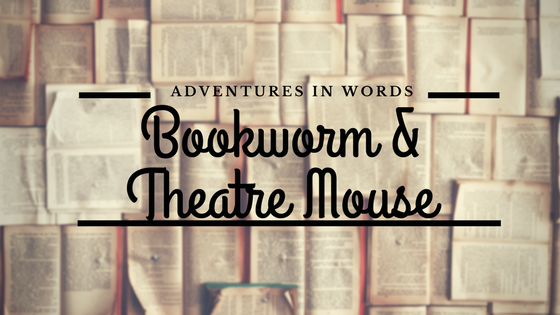 Mr Bookwormandtheatremouse has been known to repeat this many a time as we watch various adaptations of much-loved novels. Do not get me wrong, I understand that a novel can not be transported directly to the screen, but there are some things in some novels which are just not to be messed with! There whole term ‘Purist’ was often thrown at me during ‘Sherlock’. A much-loved show, but can something that has been so changed really have characters called Sherlock Holmes and Doctor Watson? By all means, writers can be inspired by other writers and even characters, but the final straw for me was the day a friend turned to me and uttered the words ‘I love Sherlock Holmes’ and when questioned had never read a story but had a crush on Benedict Cumberbatch. If the show had encouraged her to pick up the original books and discover those glorious original tales, I could maybe have forgiven the statement – but sadly it did not! More recently, I had a little rant after watching ‘The ABC Murders’ over the festive season. Unfortunately, it simply was not a Christie tale that we sat down to watch. There is something wrong about adding such violence to the gentle escapism of the original story. And why transform Poirot’s character and side step Captain Hastings? Can modern audiences simply not be entertained without so much extreme drama? If they were to pick up the novel, I am not sure it would be anything like they expect. Do not get me wrong, it does not mean that any adaptation should not be allowed. The Joan Hickson Marple’s are beautifully done and, although more recently Miss Marple may have appeared in cases that weren’t hers, at least if you pick up the book the tale is not changed beyond real recognition. If TV and film encourage people to pick up books then I agree that is not a bad thing – after all I read ‘Brideshead Revisited’ after the great TV production with Jeremy Irons and Anthony Andrews – but should we find novel to hardly resemble the production? Have you been left cold by any adaptations of much-loved novels? Or am I really the only ‘Purist’?